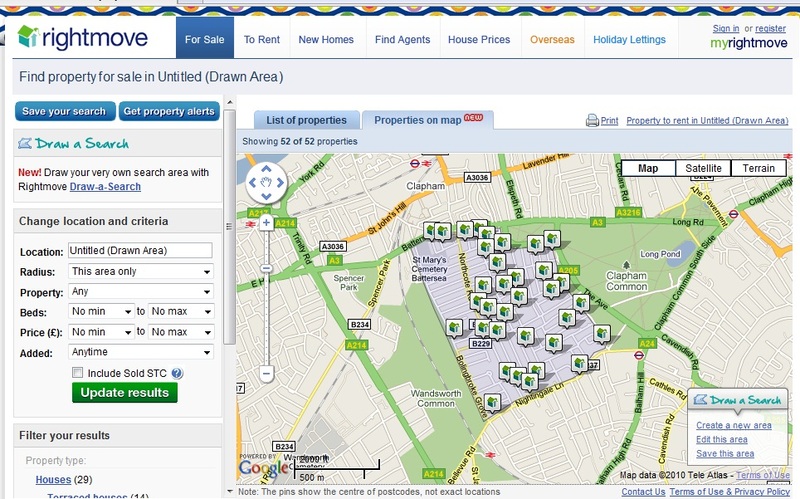 I wrote back in April about a Yahoo tool called ‘sketch and search’ that can be used to provide a more natural search interface when using a map and I said at the time that it had some great applications to be used in property search. Property search as it stands can be a bit of a blanket approach and has lacked the flexibility to define an area including or not including certain roads or estates. The truth is, as house hunters we are never really searching within a mile or even ½ mile radius of a given point, but rather we are searching specific streets or neighbourhoods which is often define by criteria such as school catchment, property build/style/age, walking distance of XYZ, coastal views etc etc. Maps searches on web sites have assisted with this and enable us to browse a wider area and ‘self filter’ the properties that are in acceptable locations, but this type of search isn’t accommodated in search results stored in an account for property alerts. 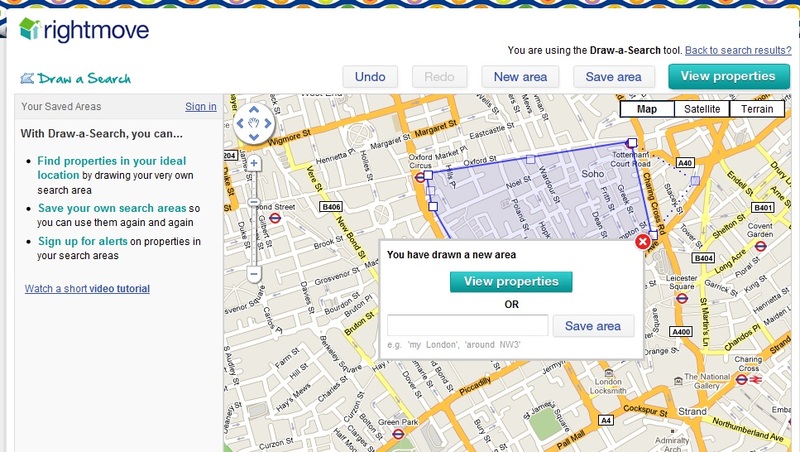 In the next few days, Rightmove are releasing a new tool called ‘Draw a search’, which allows visitors to the site to draw a shape or specific area that they are searching in and to then store that area for property alerts. Draw a Search appears as a filter on the results page of your initial search. When you click the ‘Draw a search’ button, it allows you to draw a shape within your requested location of the exact search area are you are looking for. You can then generate search results within that area, either in list view or plotted within your Draw a Search area on the map itself. The great thing is that these searches can be saved to your Rightmove account and you will be able to receive property alerts on those areas, meaning that you know that any alerts that come through are specifically in locations you have defined. Rightmove tell me they will also be adding a function which allows you to save your Draw a Searches to Facebook and Twitter so that users can share their search areas with fellow house hunters. The technology isn’t new, in fact since November the Rightmove Plus product has allowed agents to precisely define the areas in which they operate and generate specific reports (If you’re not familiar with this as an agent then make sure you look at it). This tool is the ultimate in flexibility and is part of a string of developments that the various property portals are working on to reassure home hunters that they are an invaluable tool in the home search process. In this case I think it’s a real hit and I’m expecting them to get some seriously good feedback on it from house hunters.